There is a growing interest in identifying putative insulin sensitizers from the herbal sources. The present study explores the effects of naringenin, a bioflavonoid, in the high fructose-induced model of insulin resistance. Adult male Wistar rats were divided into two groups and were fed either a starch-based control diet or a high fructose diet (60 g/100 g) for 60 days. From the 16th day, rats in each group were divided into two, one of which was administered naringenin (50 mg/kg b.w.) and the other was untreated for the next 45 days. Oral glucose tolerance test (OGTT) was done on day 59. On day 60, the levels of glucose, insulin, triglycerides (TG), free fatty acids (FFA) in blood, and the activities of insulin-inducible and suppressible enzymes in the cytosolic and mitochondrial fractions of liver and skeletal muscle were assayed. The extent of protein tyrosine phosphorylation in response to insulin was determined by assaying protein tyrosine kinase (PTK) and protein tyrosine phosphatase (PTP) in liver. Liver histology with periodic acid-Schiff (PAS) staining was done to detect glycogen. Fructose administration increased the plasma levels of glucose, insulin, TG, and FFA as compared to control rats. Insulin resistance was indicated by alterations in insulin sensitivity indices. 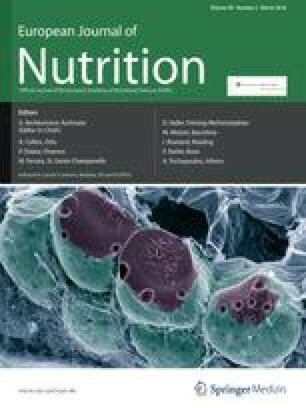 Alterations in enzyme activities and reduced glycogen content were observed in fructose-fed rats. PTP activity was higher, while PTK activity was lower suggesting reduced tyrosine phosphorylation status. Administration of naringenin improved insulin sensitivity and enhanced tyrosine phosphorylation in fructose-fed animals, while it did not affect the parameters in control diet-fed rats. Naringenin improves insulin signaling and sensitivity and thereby promotes the cellular actions of insulin in this model. The authors thank Dr. R. Sundarapandiyan, Lecturer, Department of Pathology, Government Medical College, Theni, Tamil Nadu, India for his help in histopathological studies and the Indian Council of Medical Research, New Delhi, India, for providing financial support.